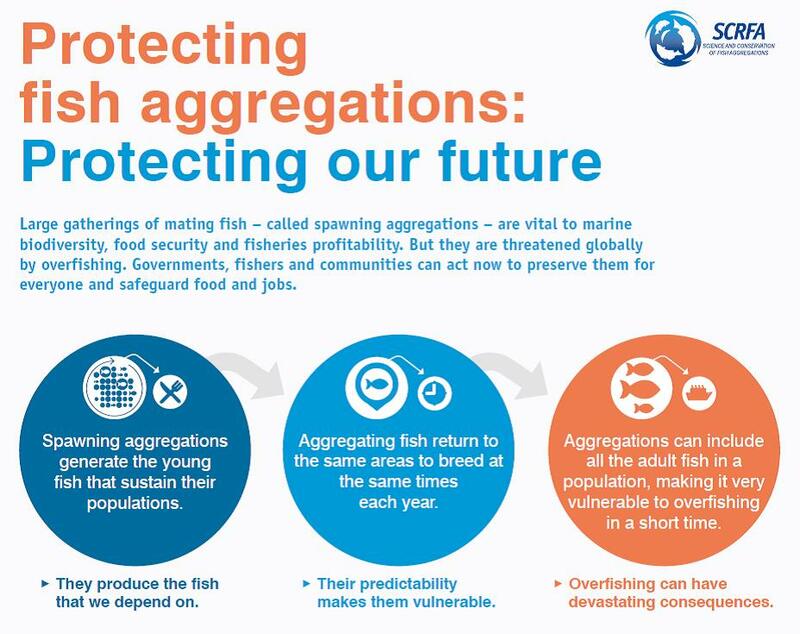 SCRFA provides scientific and practical management information on marine fish aggregations to improve their protection and enhance their resiliance. Our methods manual, case studies, research and outreach all contribute to a better understanding of aggregations and the need to manage them. 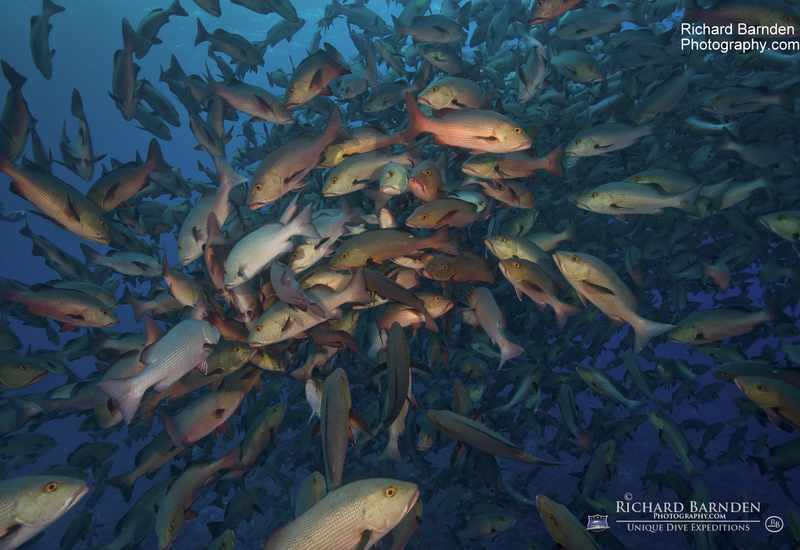 Our Directors work globally in academic institutions, NGOs and government, and participate in international committees and at conferences and workshops to promote responsible stewardship of fish aggregations. We also provide training and support, and guide research. Ongoing projects involve engagement in the Asia-Pacific, Indian Ocean and the Caribbean. Value Chain Analysis of the Fiji Grouper Fishery. 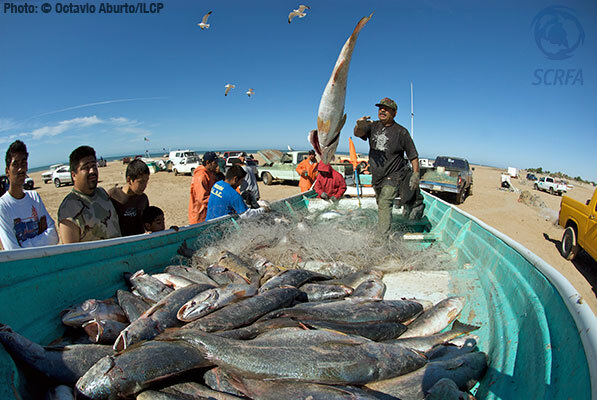 We conducted a seafood Value Chain Analysis for the coral reef grouper fishery in Fiji. 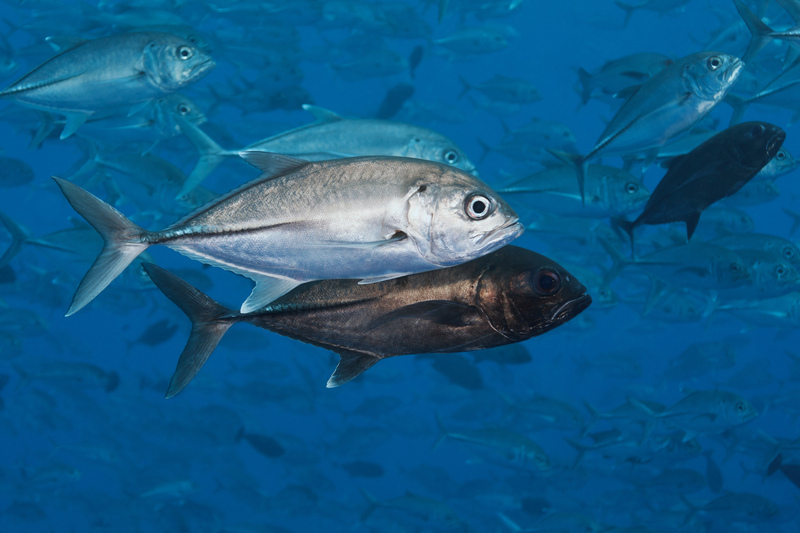 Estimating fish abundance at spawning aggregations from courtship sound levels. A paper by Rowell et al: Sound produced by fish spawning aggregations enables passive acoustic methods to identify the timing and location of spawning. 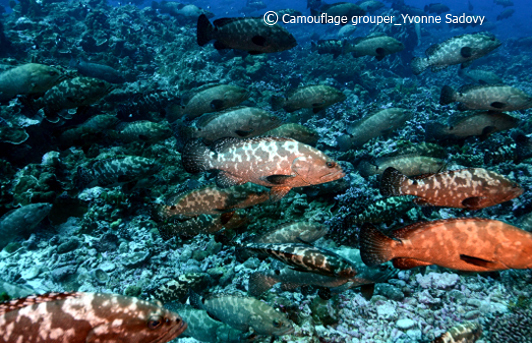 Blacksaddled groupers (Plectropomus laevis) are aggregating in Chagos. 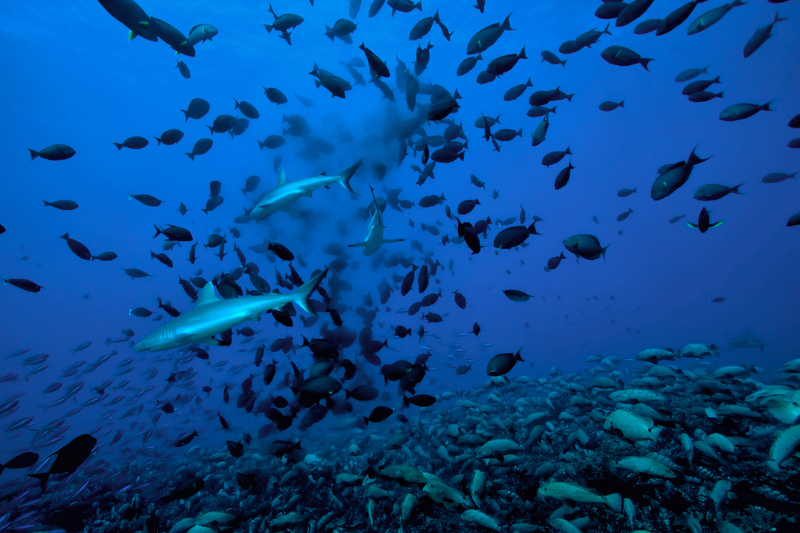 An aggregation has been observed on a submerged reef flat near Three Brothers Islands Group in Chagos. SCRFA Student Award 2017 was awarded to Carlos Zayas Santiago from the University of Puerto Rico. 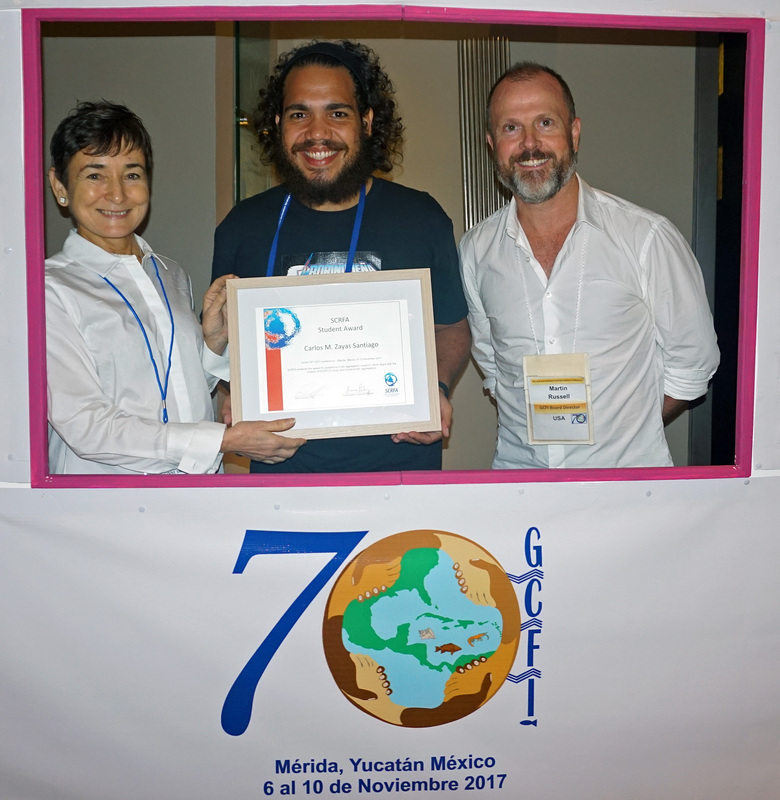 Yvonne Sadovy (L) and Martin Russell (R) presented the award to Carlos (M) at the 70th GCFI in Merida, Mexico in November 2017.
attend and present at GCFI 71 in San Andres, Colombia, November 2018. The trade in live reef food fish - Going, Going, Gone For more info on this go to ADM Capital Foundation (Resources) page. Subscribe to SCRFA List to receive emails on latest news, stories and events around the world. 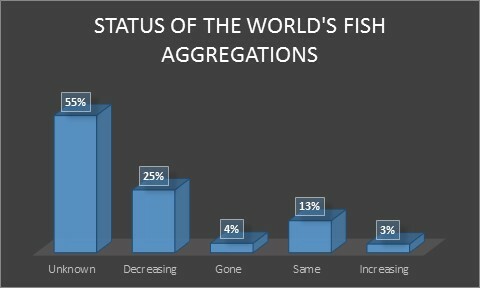 SCRFA has a global database of fish spawning aggregations. 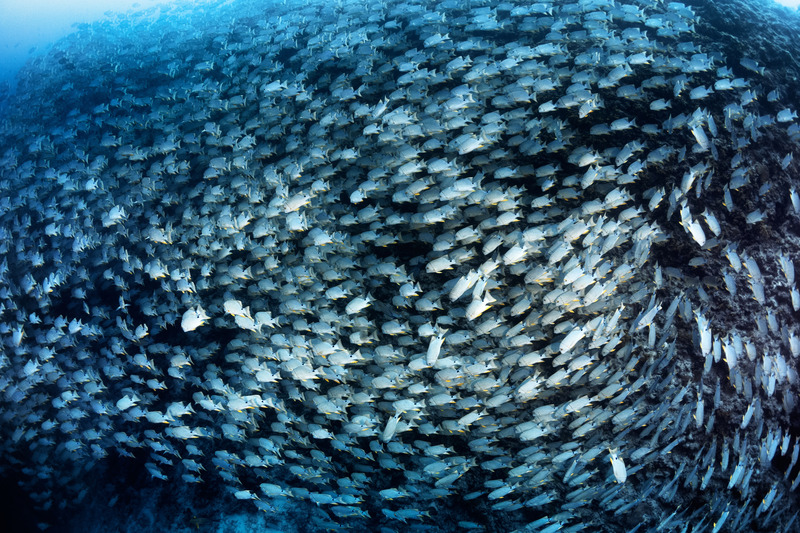 This database is the only one of its kind and gives a unique insight into over 1000 fish spawning aggregations globally. The database is open for public use, and data can be added. 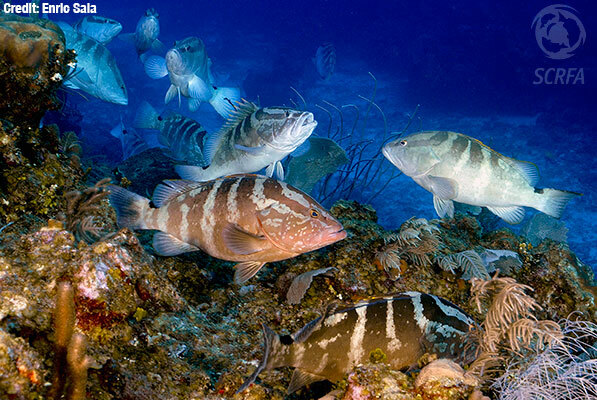 We have a fantastic photo gallery of aggregations and aggregating fish species by wonderful photographers from around the world. These give you an insigt into the amazing world of aggregating fishes. We are also keen to get more photos of these hard to photograph events, so please let us know if you have any you can share with us. We also have a few short films about fish aggregations. SCRFA has a range of educational products such as info-brochures for your use.